While it’s always sad to see summer go, Broome County offers endless opportunities for fun with countless quintessentially ‘fall’ things to do--all while buying local products and supporting our local economy. The Cider Mill in Endicott is at the top of everyone’s list when they think of autumn in Broome. 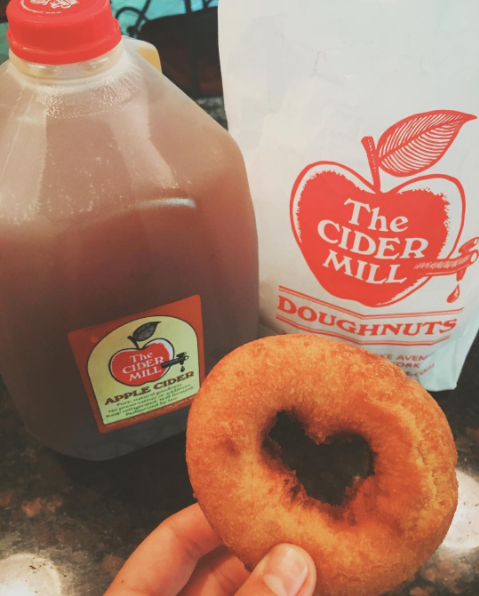 From fresh and affordable produce like eggplant, squash, pumpkin and zucchini--just to name a few--to delicious and freshly-made apple cider, doughnuts, cookies, pies, jams, and so much more, the Cider Mill is the place to feel all the warmth and coziness associated with fall. If you’re looking for somewhere to see the beautiful fall foliage in full force while relaxing and picking apples, Apple Hills in Binghamton is the place for you. Start with a great meal at the Apple Hills Cafe, check out the Apple Hills market and then venture off into the orchards to pick from the countless varieties of apples to enjoy a perfect fall Saturday here. Going for a hike in the Binghamton University Nature Preserve in Vestal during the autumn offers something a little more active for those who want for a high-energy activity while still taking in the breathtaking beauty the change of season brings and that we experience to the fullest in Upstate New York. You can even check out a Bearcats Men’s or Women’s Soccer game, and get your schedule for Bearcats Basketball season coming soon. Visit Jackson’s Pumpkin Farm in Endicott, complete with a pumpkin patch, hay rides, haunted house, produce market and mini petting zoo. Head to any of the awesome restaurants downtown during yet another unforgettable Binghamton Restaurant Week now until September 28th. There’s no shortage of ways to enjoy the season of pumpkin spice, crisp air and apple cider around here. Broome County is the place to be to get the most out of the fall months. Because #Broomeisgood and #goodisachoice #agoodlife #thrivenow #defineyoureconomy.